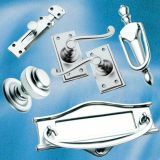 Our comprehensive ranges of Door & Window fittings is proving very popular. 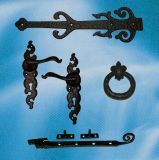 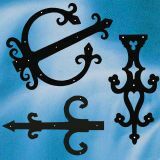 We offer full ranges of Cast Iron, Wrought Iron. 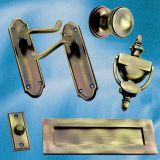 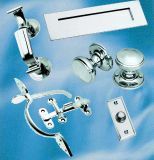 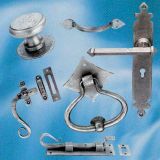 Polished Brass, Antique Brass & Polished Chrome products including, Door handles, Knob sets, Hinges, Letter Plates, Finger Plates, Thumb Latches, Door knockers, Door Numbers, Bell Switches, Window Latches, Window Stays, Cabinet handles, Door Pulls & Escutcheons. 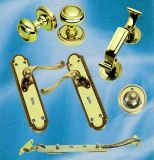 If you can't see what you are looking for then please drop me a line or call me as we have access to most items. 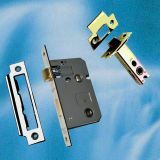 Our quality is second to none and we are happy to ship to most countries. 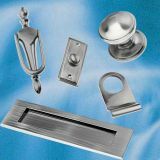 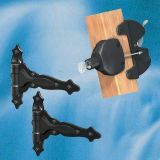 Importantly 99% of our products are available for immediate delivery directly from stock.